I love Minnesota, but I can only handle so many lakes! The trip out west has been an awesome change of scenery, starting with the beautiful San Juan mountains in Colorado! 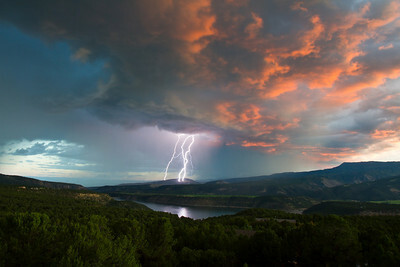 This lightning storm scrubbed my attempt to climb Mt. Sneffels, one of Colorado's many 14,000ft+ peaks. It sure did make for a great photo though (and a healthy dose of luck didn't hurt)! The rough weather made for some amazing sunsets as well! I've never been that interested in landscape photography in general, but this trip is quickly changing that. I've been shooting a wide variety of panoramas in particular. This one is a 360 degree shot from the top of California Pass, giving an excellent view of the Red Mountains. Make sure to click it and view some of the larger sizes! I also got a chance to do a little off-roading while in Colorado. 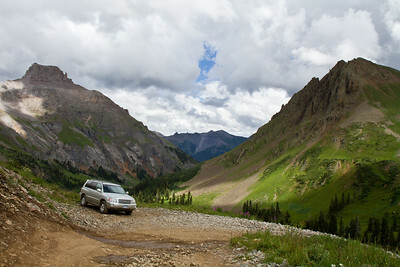 This was shot at a place called Yankee Boy Basin after we'd run out of road that the Highlander could handle. It was one heck of a drive to get up there, but photos like this made it oh so worth it. Colorado also has some awfully brave wildlife! 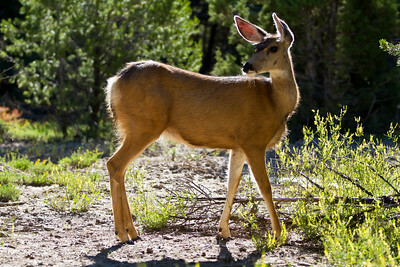 I've only managed to catch a coupe glimpses of Marmots and more exotic fare, but this deer wandered within about 15 feet of me one morning. 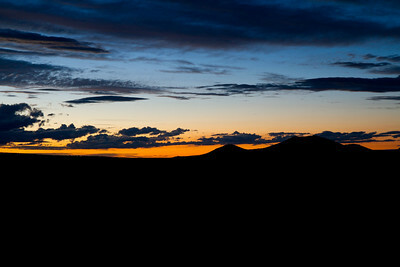 Colorado has been great, but now it's off to Texas via White Sands, New Mexico, one of the most beautiful places on earth! Check back soon for some photos that will really blow your mind!